Where are the international football players ESM Goh Chok Tong brought in to put Singapore on the FIFA World Cup map? As World Cup fever continues to grip fans all over the globe, many Singaporeans joined the world in expressing surprise that Croatia beat out many top World Cup teams to clinch one of two highly coveted spots in the 2018 FIFA World Cup finals, that is due to take place tomorrow. Croatia’s success so far in the tournament has astonished many since the country is small and only gained independence fairly recently. Home to a population of nearly 4.3 million, Croatia is a small nation that achieved independence from Yugoslavia just 24 years ago, in 1994. As news that such a small country did stunningly well in the top football tournament in the world began to permeate Singapore, many locals began drawing comparisons between Croatia and Singapore. With a population of nearly 5.8 million, Singapore has been an independent nation for more than twice the time Croatia has been a sovereign country. Despite this, the national football team here has never made it past the World Cup qualifying matches. 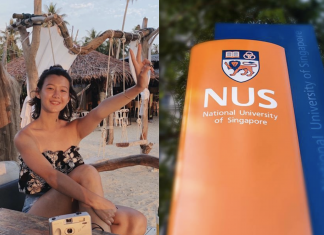 This is in spite of the attempts the Government – known for trying to position Singapore as the world’s best in many arenas – made to strengthen the national football team and edge higher up the World Cup ladder, as far back as two decades ago. 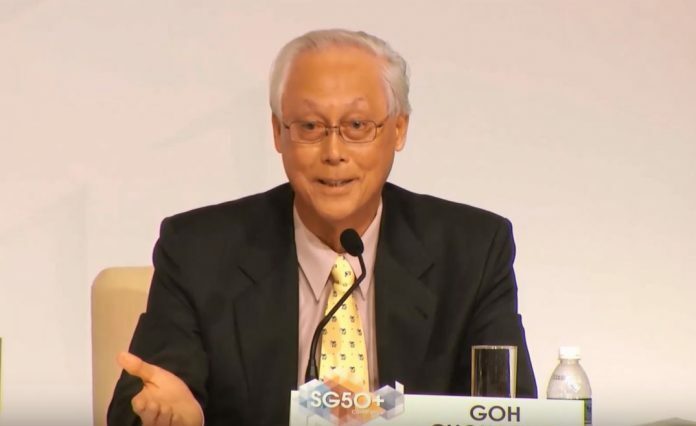 20 years ago, during the National Day Rally in 1988, then-Prime Minister Goh Chok Tong spoke about the need to bring “international talents” into Singapore to help Singapore punch above its weight. “Bill Gates was here recently. He told us that each year Microsoft gave awards to its most outstanding employees, and he would meet them personally. He noticed that their names are mostly unpronounceable, because so many were Eastern Europeans or Asians. “Microsoft has systematically scouted for and attracted the cleverest software programmers from all around the world. They made Microsoft into the world-class company it is. Pointing to the French World Cup football team that beat Brazil to become the world football champion that year, former PM Goh noted that many players who were part of the team were first or second generation Frenchmen. “Look at the French World Cup football team. In the final against Brazil, I picked Zidane as the most outstanding French player. He is of Algerian descent. Of the 22-players, more than half did not look ‘French’. “They looked Argentinian, Armenian, Basque, Caribbean, Ghanaian, New Caledonian. Some were born in France, but of immigrant parents. Others are first generation French citizens. When they went up to receive their medals, President Chirac embraced all of them as Frenchmen. “He sent a strong political signal for multi-racialism and against xenophobia: that in France, so long as you contribute to the French cause, it does not matter what colour your skin is or where you were born. True enough, the Government did make several international football players new citizens in the years following Goh’s rally speech. Despite these efforts, however, Singapore has still not been able to make it past World Cup qualifiers. And now the question is: where are the new citizens who were imported to help push Singapore into the World Cup finals? Croatian Mirko Grabovac is a former professional footballer who was part of the band of sportsmen who were offered citizenship in order to play for the Singapore national football team. Grabovac was made a Singapore citizen in 2002, only for him to renounce his citizenship six years later in 2008. Like Grabovac, Egmar Gonçalves was given Singapore citizenship in 2002. Unfortunately, the Brazilian player failed to help make a significant impact at the international level on behalf of Singapore. Nigerian Agu Casmir was offered Singapore citizenship in 2004 as part of the foreign talent scheme but he left Singapore for Canada in 2006 and it was reported that he had no intention of pursuing a career in football thereafter. Casmir, however, returned to Singapore subsequently and wanted to play for the local team but the Football Association of Singapore suspended him from the national squad for one year and slapped him with a $20,000 fine after it discovered that he had secretly signed on with an Indonesian football club without its knowledge. Fellow Nigerian Itimi Dickson was also offered citizenship in 2004. The now-retired football player was once banned from representing Singapore for a period of six months after he was absent from training with the national team. Suffice to say, the foreign talent scheme announced by the then-PM hardly made an impact to elevate Singapore’s position in world football and Singapore remains in the same position, 20 years on.